I have tried many dry shampoos before now most of which i haven't been a fan of so i tend to stay clear, recently i received the Bouffe dry shampoo and I can honestly say i'm really impressed! 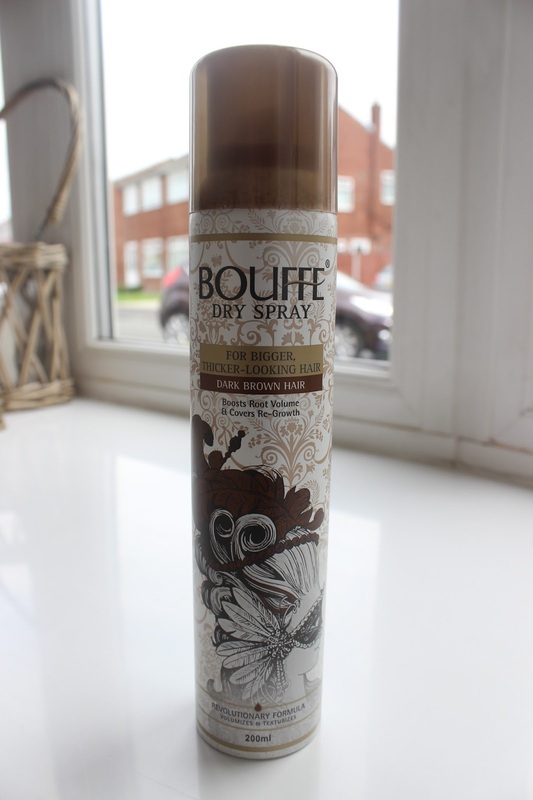 Bouffe is to be sprayed at the roots of your hair and creates instant volume. I love that Bouffe have a wide variety of colours such as silver, light blonde and brunette which is suppose to help cover the re growth of colour! It's also available in clear if you aren't looking to cover hair growth. I found it gives your hair the right amount of volume and texture to be able to style, the formula is quite similar to hair spray so it does feel as though it will keep your hair in all day. All in all i think this product is great as it acts as a two in one which is perfect for when you're in a rush of a morning! Bouffe is available in Boots for £5.99 which for 200ml I think is a really reasonable price! I am not a big fan of dry shampoos! Haven't found one that I love! This one sounds interesting! Thanks for that! I'm a dry shampoo addict so must try this! Never heard of this brand. I love the idea of a clear one, I usually use Colab and Batiste.